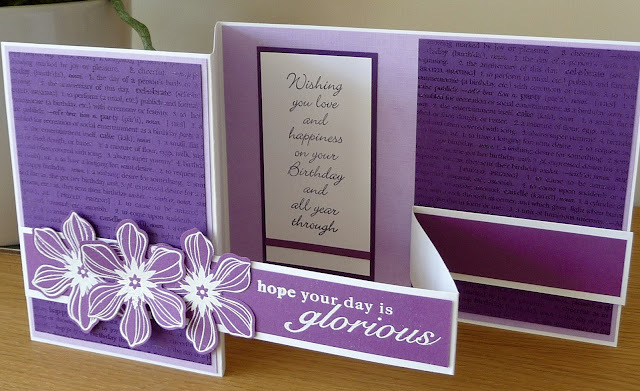 I spotted a clever fancy-fold card recently on Pinterest, it's by Jan B, here. My version uses an A5 landscape card-blank from Samuel Taylor's, and the front of the card is simply folded back on itself. The 'z' band is folded exactly the same way just that it is obviously much narrower and it's adhered the opposite way round to the fold of the card-blank. Clear as mud? Watch Jan's video on YouTube and it will make sense! The video is very long at over 42 minutes but she is including all the measurements and how she has decorated her card etc. 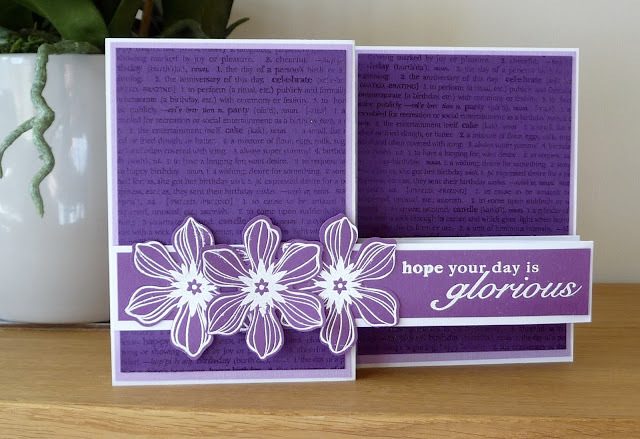 I didn't bother measuring anything because I think once you have the fold sussed you can do it on any size card and then just mat and layer or whatever. The easiest way to get the band the correct size is just to trim a strip an inch down or so from the plain card blank after you've folded it. 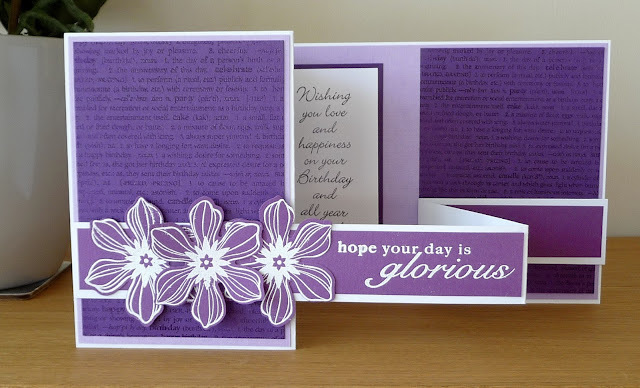 For my card I've used a large Hero Arts text stamp, clear embossed. The sentiment on the band is by Woodware and the one inside is by Hobby Art. The flower stamp and punch are by SU.